The city enforces codes and recoups its costs in a successful cleanup on H Street. A house on H Street that was once surrounded by piles of trash has become a code enforcement success story for the city of Madras. The house, at 283 SW H St., first came to the city's attention in 2015, when a neighbor complained that it had become a blight on the neighborhood. In June 2015, the city passed an ordinance which allows it to take action when a derelict building is an attractive nuisance, unsafe for human habitation, an imminent hazard, detrimental to public health and safety, or creates a negative impact on neighboring properties. "Code enforcement is a significant responsibility of the city," said Nick Snead, Madras Community Development Department director. "Really, the city's code enforcement efforts are to ensure residents are safe, but also keep the community looking good." Before the city could tackle the H Street property, a previously identified house on D Street that presented both health and safety issues was on their agenda. That house was cleaned up in January 2016. "The challenge is that often there are more cases and need for enforcement than there are staff to investigate and resolve each case," said Snead. "This forces the city to prioritize cases. The cases which have direct or immediately threaten the safety, health, or welfare of residents are prioritized higher. In some instances, we've had residents become frustrated with the city that we haven't started investigating their complaint sooner." When the D Street house (which later burned down in August 2017) was cleaned up, the city turned its attention to the H Street house, whose owner had died, leaving the property in the control of a trust. First, the city sent a notice of violation to the owner and the owner's legal counsel in February 2016, requiring removal of the trash. When nothing was done to remove the trash, on June 28, the city authorized the use of up to $5,000 in community cleanup funds. 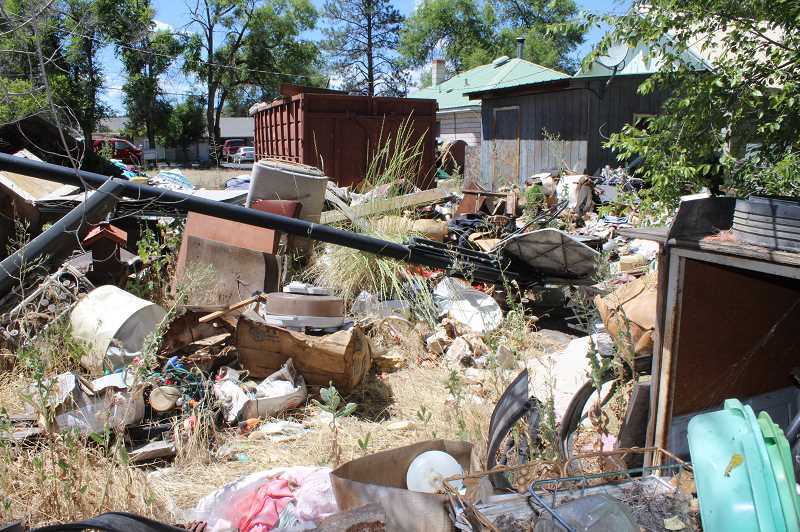 The city, in partnership with the county, which allowed the city to use a Jefferson County Adult Community Justice crew, began cleaning up the property in late July 2016, hauling off nearly 35 tons of trash over the course of two weeks. "By the fall of 2016, the city had cleaned up the property and worked to recuperate costs incurred," noted Snead. "In November, the city filed a lien on the property in the amount of $4,537.10. In October of 2017, the city's lien was paid in full." 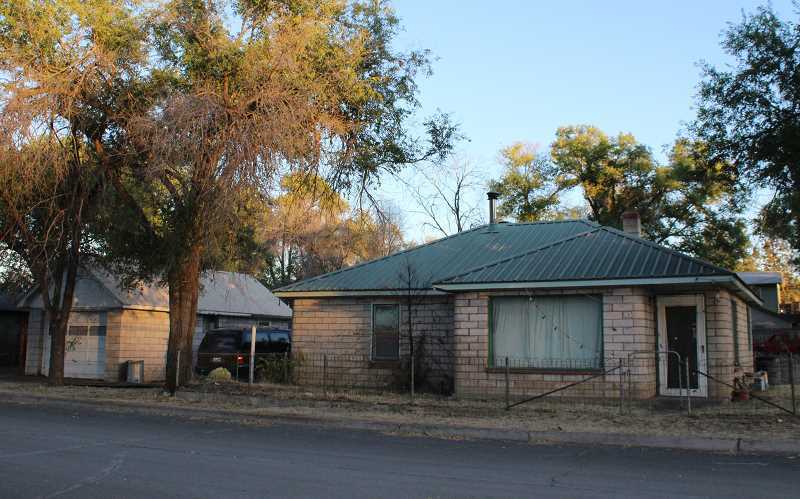 At the time of the city's cleanup, the 956-square-foot cement block house, which includes a 322-square-foot garage and a 96-square-foot shed, had a real market value of $47,870, according to the Jefferson County Assessor's Office. The house sits on 0.26 acres — a two-lot parcel. In most cases, Snead said, that would have been the end of the story, but later in 2017, a real estate development company, Chandler and Newville Inc., of Sherwood, purchased the property and applied to partition the property into two lots, which was approved. Around the same time last fall, the city was working on the H Street project to repave, add sidewalks and bulbouts for crosswalks, which changed the look of the neighborhood. 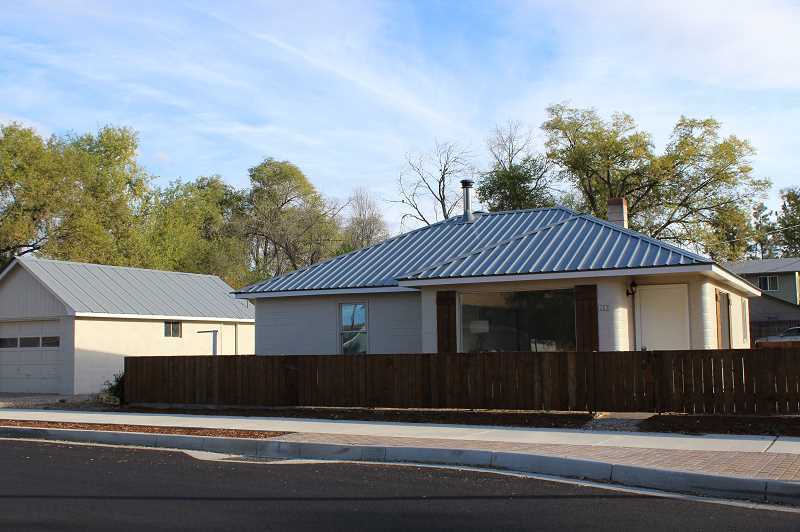 The dramatic renovation of the house and the road improvements have made a difference in the entire area. As a result, Snead said, "We're starting to see interest in redevelopment." "We take great pride in finding creative solutions to code violations that work for both the resident or business and the city," he said. "It's really gratifying to work with a resident who has some challenges, wants to do the right thing and comply with the code, but for difficult circumstances that they're facing. I love resolving those cases. It really demonstrates that the city staff cares about our residents and community." "The city is in process of making several changes to regulations and internal processes to improve the efficiency of enforcement investigations and enforcement," he said, "all of which will make our community that much greater of a place to live, work, and play!"